Lionhead has released a new gameplay trailer for Fable Legends during Microsoft’s E3 press conference, and introduces us to the villain side of the games story. Focusing on delivering a high-quality and unique multiplayer experience, the gameplay trailer introduced us to Brightlodge, the social hub area of the game where you will meet the heroes you will play as. The trailer introduced us to four of the heroes you can play as in Fable Legends. You have Sterling, Winter, who specializes in Will, Rook specializes in Skill and Inga, with a speciality in Strength. Presumably there will also be a balanced character class. The unique aspect of the multiplayer was introduced as having the four hero players teaming up against another player, who will feature as the villain for the adventure. The hero players will play with the third-person camera over shoulder view whilst the villain of the piece will enjoy a top-down view of proceedings. The villain’s task will be to stop the hero characters getting to their goal. This means they will be choosing where enemies will spawn, setting traps for the heroes and using spells in real-time. The villain can choose who the creatures shall attack to cause as much havoc as possible. Each adventure in the game comes down to the battle of wits between the teamwork of the heroes and the skill of the villain player. 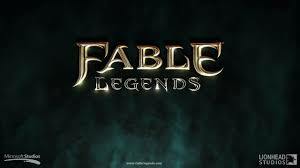 Fable: Legends will be entering a multiplayer beta during the holiday period. Take a look at the gameplay trailer below. What are your thoughts on it so far?